Here’s the second leg of the blog hop. Like I mentioned in my last post, I was invited to hop with two different authors. 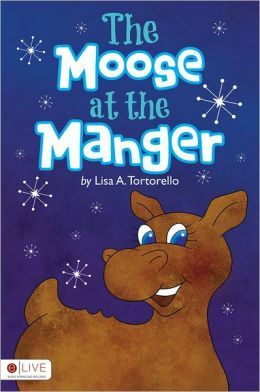 Today’s thanks goes to Lisa Tortorello, who is the author of My Hero, My Ding and Moose at the Manger. She will soon be releasing her third book, Mark the Missing Moose. 1) What is the hardest part about writing? Starting. I’m such a perfectionist, which is a curse sometimes. I find it hard to really sit down and write anything until I have a good idea of where my story is headed. 2) What is something unique you want readers to learn about you? I’m creative in other ways than just writing. Craft stores are my second home. I do everything from crocheting to soap making (which I guess also makes me a bit of a hippie, since I could make everything I need to live). My Mom once owned a craft store, and my Dad spent a lot of time doing woodworking. I love crafting so much that I actually started my own custom jewelry business. You can find my shop here if you’re interested.